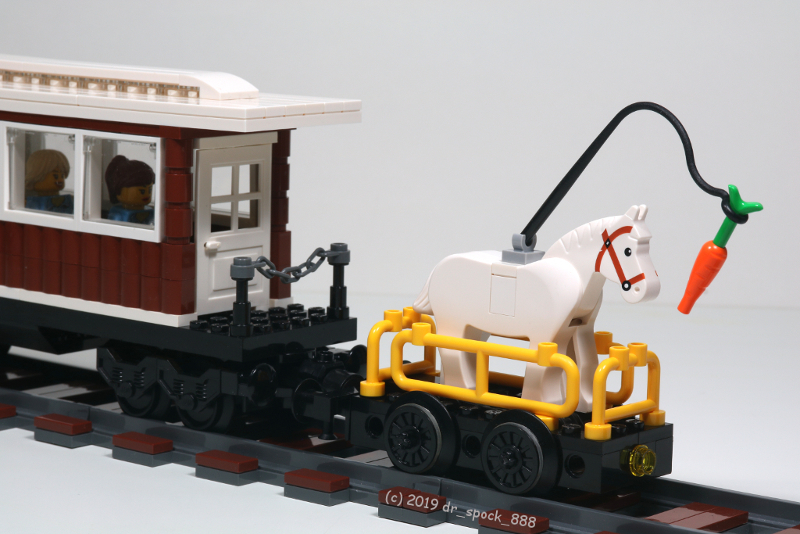 Presenting my zero carbon emission locomotive: The horse treadmill locomotive. It is more or less environmentally friendly except for the rail line workers who have to work on the tracks afterwards. Power output seems to be limited to 1 horsepower, no matter how many carrots are used. The treads move with the wheels. The fences are required to keep the horse from pushed off by the moving treads or running away from his employment. Next time you're choking on smoke from a dirty polluting steam engine, consider taking the horse treadmill locomotive powered train. Haha this is great... Will it work with the newer style horse as well? did you know that there used to be such a locomotive? I think the loco exhaust will be fine, as it should just land on the deck behind the prime mover. Alternatively you could place a planter with roses in which I’m sure would do very nicely. That is brilliant!! Did you know the real life version existed before you built it? ...but emission of methane wich is even worse for the climate! So this solution isnt very enviromentaly friendly either! 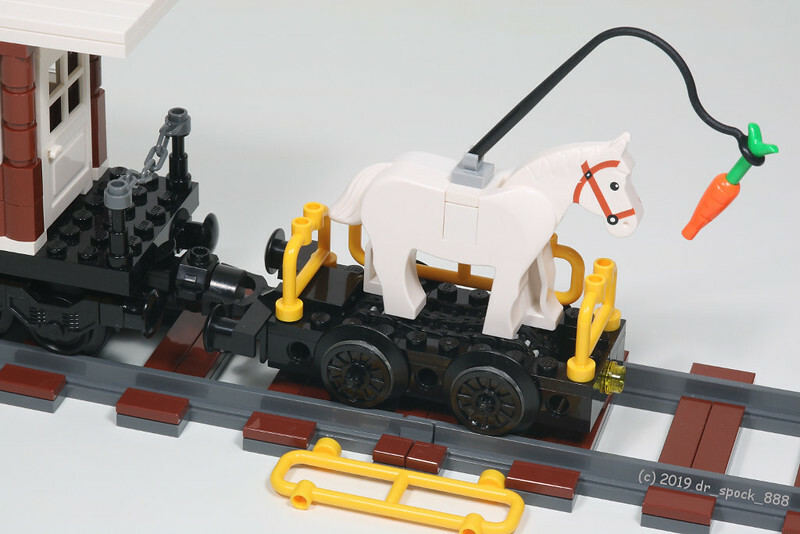 There's another problem ...with the mechanisms in the picture the horse/locomotive would move backwards ...so ...could the horse feel that the carrot is moving away? I think the horse should feel that so yea i dont think that would work but 2 gears would fix this issue! Funny MOC. Like the premise and thanks to all for showing the "history" behind it.